As your Assemblyman, you’ve put your trust in me to protect taxpayers from Sacramento’s out-of-control spending and to defend our way of life. Despite all the work we’ve done together, it’s clear there are many problems left to solve. That’s why I’m asking for your trust to continue our fight for a stronger economy, a smaller state government, additional water storage for our communities and the quality education our children deserve. Our region’s unemployment rate remains higher than the rest of California and we simply must take action to provide economic opportunity for those who are out of work. That opportunity starts with a strong education. That’s why I supported a plan to invest in early childhood education and ensure our local schools get their fair share. And it’s also why I’m supporting a proposal to help our schools build new facilities to help all our children succeed. When it comes to strengthening our economy, I’ll continue to work on policies that not only create new jobs, but also keep the ones we have from being lost to other states. And I’ll continue to be an outspoken voice to help deliver water to our communities and invest in water storage projects for the future. I’d be honored with your trust and your vote to continue our fight for local jobs, increased water storage for our communities and to deliver an education that prepares students to compete in today’s economy. Frank Bigelow’s real world experience makes him uniquely qualified to represent our rural communities. He’s voted against budgets that rely on borrowing, he’s cut government spending, and he’s fought to protect jobs by reducing construction costs. 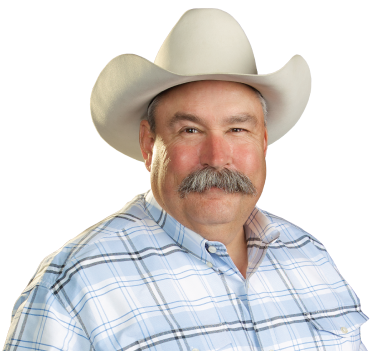 As a small business owner and rancher, Frank values the sacrifice that working families make just to make ends meet. He’s fought to bring jobs to his community, and we need him fighting for people young and old in Sacramento. A lifelong rancher and businessman, Frank Bigelow not only understands our way of life, he’s going to fight to protect it. In this tough economy, our region deserves a proven leader like Frank who will make jobs his top priority. I trust Frank, he’s earned it.